After 3 people died in a stampede at the Enlightened Christian Gathering Church(ECGC) in Pretoria, South Africa, the leader Prophet Shepherd Bushiri has come under different types of hard times. The 35 years old leader whose rise to fame has been as dramatic as it is also controversial due to his claim of possessing supernatural powers to walk on air, deliver, heal and prophesy but many claim they are either paid for or camera edit. After the stampede, the church came under attack for obstructing the end of justice when the bodies of the deceased were deposited to a mogue without the consent of the police nor the family. This led to a national protest to provoke the government to ask Prophet Shepherd Bushiri to leave South Africa. Following his arrest was the court charges for fraud and money laundering. This has also affected his wife who is also under arrest for various charges. They have been released on bail R100 000. Having enjoyed so much fame and controversies, the question on peoples’ lips is that is this the end for the prophet? Is this persecution or is the prophet being exposed? Last week Thursday, the ECG leader acknowledged that all is not well. Prophet Shepherd Bushiri is one of the big names to rise at the turn of the millennium under a wave of a prophetic movement. 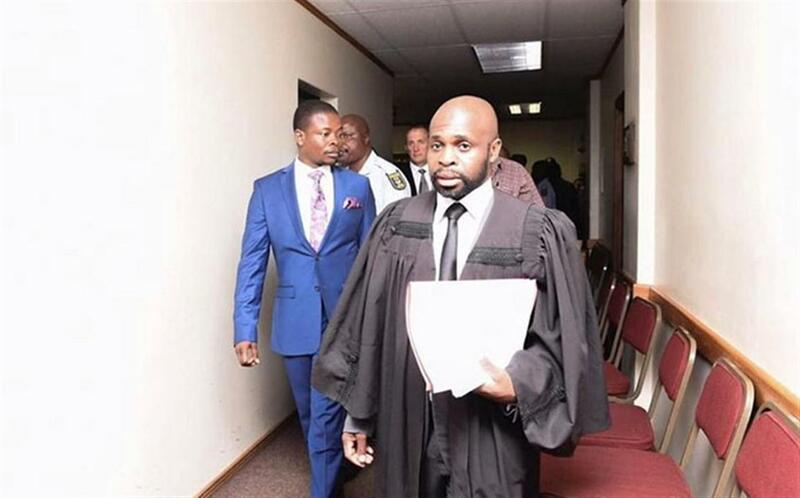 Christian author and former publicist for Prophet Uerbert Angel of the Good News Church who is Bushiri’s spiritual mentor, Dr Brilliant Pongo opined that Bushiri’s arrest was proper prosecution rather than persecution. “Today’s church has been polluted by charlatans and many think that when these characters are prosecuted for crimes, it’s tantamount to persecution. There is a world of difference between criminally prosecuting a prophet for fraud and the persecution that biblical prophets… please let’s not confuse ourselves and others by crying our prophet is being persecuted when in actuality he is being prosecuted for criminality,” he said. Only time can tell if Prophet Shepherd Bushiri is being prosecuted or persecuted!